Happy Feel Good Friday! To be topical, I was going to find a way to appreciate the IRS but realized I did that last year in this post. So instead, here's an organization I learned about recently from reading a Thrillist article by Matt Meltzer - Clean the World Foundation. As a visit to their website explains, "Clean the World is a social enterprise with the mission of saving millions of lives around the world." They do this by collecting, recycling and distributing discarded soap and amenity bottles from participating partner hotels around the world. The organization was founded in 2009 by Shawn Spieler, after he learned that his partially used hotel soap was one of more than 2 million bars that is thrown away every DAY in the United States! Stopping this waste from ending up in the landfill is only one motivation of this organization. Here's another. More than 1.8 million children around the world die from hygiene and sanitation related illness and disease such as pneumonia and cholera. One of the most effective ways to prevent these deaths? Washing your hands with soap and water. 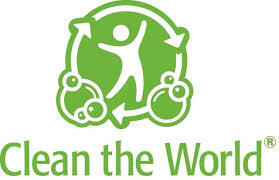 Since it's inception, Clean the World has donated more than 40 million bars of soap in over 115 countries! They start by collecting soap, shampoo, conditioner and lotion products from their hospitality partners and bringing it to one of their distribution facilities in Orlando, Las Vegas, Hong Kong, London and Quebec. Soap is run through a cleaning process and recycled. Bottled products are sorted and those that are more than 75% full get cleaned and included in hygiene kits. Clean the World then partners with other non-profit organizations and NGOs to distribute the bars of soap and hygiene kits to homeless shelters in the U.S. and to children and families in communities around the world. You can watch this video which explains their process, but be warned the music is very melodramatic. If you like what they're doing and want to help you can! People who live near Orlando, Vegas or Hong Kong can volunteer in a distribution center and no matter where you live, you can host an event to build hygiene kits or support them with a donation. The next time you stay in a hotel, find out if they participate in this program so you can share it on Clean the World's Facebook page and give them a shout out on Twitter @CleantheWorld.